Size : 8.25 x 10.50 ins. 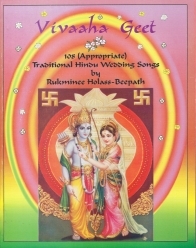 Vivaaha Geet is a compilation of 108 Traditional Hindu Wedding Songs by Rukminee Holass Beepath. 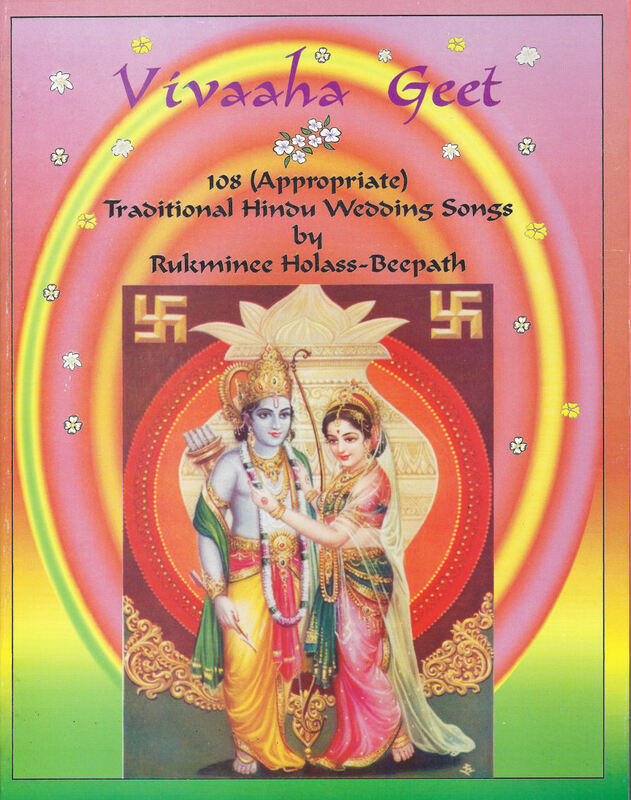 Rukminee has also accompanied Vivaaha Geet with 3 CD's which makes it very easy for persons to learn the songs from the text. These CD's are sold separately from the book in the Music Section of the Store. You can also visit this link http://www.hindisongstt.com/artist_detail.php?id=198 to read more about Rukminee Holass Beepath and hear snippets of her voice. It is indeed an honour for me to be a part of this great legacy of our forefathers finally put to paper and ink and left as part of our rich heritage for generations to enjoy. I fully endorse this masterpiece and wish to congratulate Mrs. Rukminee Holass - Beepath, for I know that this book is a realization of her dreams. I also wish to thank her for the long hours and the labour dedicated towards this project. It is indeed a labour of love given to us in song. I wish many more to follow in her footsteps, be it in the form of local poems, local medicine or local Hindi vocabulary, all handed down to us by our forefathers and which is now our responsibility to document. Words cannot express the fullness of my heart as I recommend this work of art. I recommend that these songs be taught in schools, in temples and also played by orchestras on the big stage, and yes, even exported to India and other countries. And so, I wish to thank Rukminee for this gift to our nation. 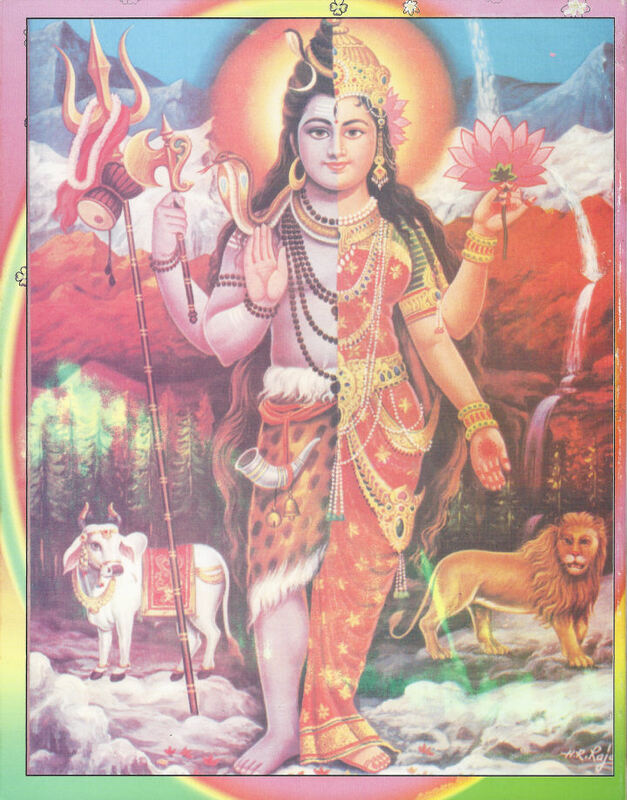 May Bhagwan shower her with His choicest Blessings and she continue to prosper.